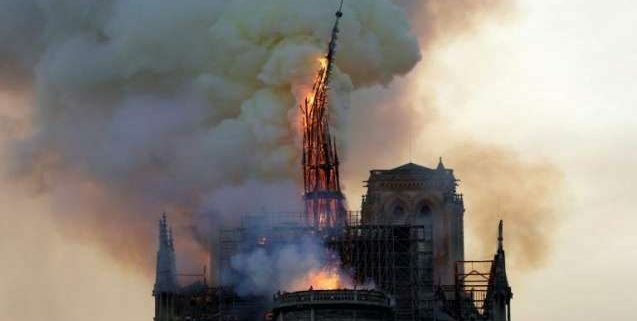 (Paris) – Around 400 firefighters were attempting to stop the destruction of the Notre-Dame cathedral, describing the blaze as “difficult” to handle. “We will rebuild Notre-Dame together”, an emotional French President Emmanuel Macron vowed on Monday evening as he visited the famed Paris cathedral which was partly ravaged by fire. 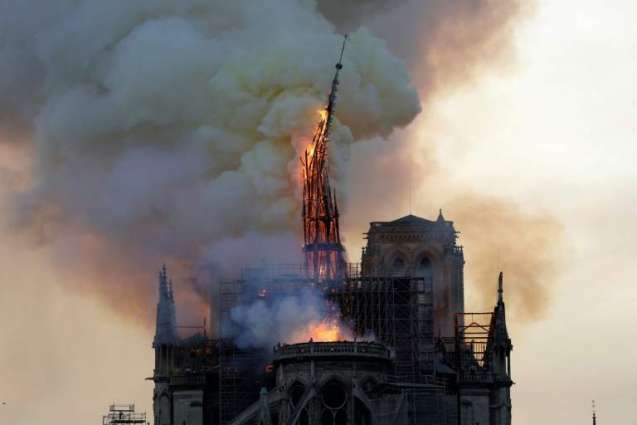 With tears in his eyes, Macron said that “the worst has been avoided” thanks to the work of firefighters who battled for hours to save the Gothic cathedral´s two towers and facade. He vowed to draw on “the best talent” to rebuild what had been destroyed. He said that “starting tomorrow” he would launch an international appeal for the restoration of the beloved church.